It was over dinner at Manoirs de Tourgéville that I discovered a yawning chasm in my wife’s cineaste credentials. ‘What do you mean you have never seen it? A Man and A Woman? Un Homme et Une Femme.’ I make an inadvisable stab at singing the theme: ‘Da-ba-da-ba-dab-ee-dab-.’ Stop that. Never seen it. Normally such an admission would result in a shrug and a resolution to get the movie through Netflix or Love Film or some such. But I marched to the desk of the hotel and asked if they could arrange a showing and so, later that evening over digestifs, in a 50-seat basement cinema we had to ourselves, we watched Anouk Aimee and Jean-Louis Trintignant fall ever so tentatively in love. It has to be said this wasn’t pure luck. The Manoirs de Tourgéville does not have a library of every classic French film ever made. It is just that the hotel is based around the former home of the writer/director of that movie, Claude Lelouch and, in fact, some of it was filmed up the road in Deauville, the sometimes cloyingly chi-chi town on the Normandy coast that nevertheless comes with a great beach and a more workaday sibling, Trouville, just over the bridge. The Manoirs de Tourgéville is not in town but a ten-minute drive into the hinterland. It gives it the feeling of a private bolthole, a welcome breather from the promenading of the seaside, and a perfect quick does of Normandy countryside and cuisine, less than an hour from London City airport (Cityjet is now flying to Deauville year-round). The main building, built in the seventies in the style of a grand Norman manor-farmhouse, is arranged around a grassy courtyard. It contains 57 rooms a mixture of doubles, duplex and triplexes. The latter, which be warned come with lots of stairs, also have full working fireplaces for when the autumn chill bites. Rooms here are named after glamorous film stars – Jean-Paul Belmondo, Jean Harlow – although my wife and I were given Laurel & Hardy. We tried not to read too much into that. The remainder of the rooms are in annexes. The modern extension is often the curse of a hotel converted from existing buildings, but here they have created a series of four outbuilding that look as if an alien race has built hollow-centered flying saucers that were entirely influenced by the Norman vernacular – imagine Close Encounters of the Half-Timbered Kind. These slate-roofed UFOs each contain eight rooms, four on the lower, which have terraces in the ‘hole’ in the doughnut, and four on the upper level. Slightly bizarre maybe, but these pods work – so much so that Claude Lelouch has mimicked the style for his own new home nearby. The hotel’s restaurant, 1899, which forms a satellite to Lelouch’s old place, is in a similar, circular design. It’s a high, grand room, full of rich fabrics and elaborate chandeliers, which, for Deauville, is surprisingly good value, with a set menu of two courses for £26 or three for £35. True, the more inventive dishes are on the a la carte, but then so are the big prices. The hotel also has an indoor swimming pool, sauna, small gym, free bicycles for exploring the countryside and two under-used tennis courts. And, of course, that cinema. 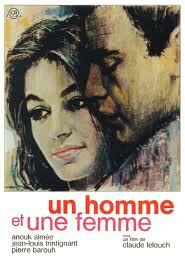 But don’t worry, if you’ve both seen Un Homme et Une Femme – you can always bring your own DVDs to project. DETAILS: Cityjet (0871 66 33 777, cityjet.com) flies twice weekly to tiny Deauville airport from London City. A car is useful. Holiday Autos (0871-472 5229, holidayautos.co.uk) has a pick-up point near the hotel, from £69 for three days. Rooms at the Manoir de Tourgeville (00 33 2 31 14 48 68, lesmanoirstourgeville.com) start at £123, room-only. This entry was posted in Uncategorized and tagged cinema, Deauville, France, Travel on March 28, 2013 by Robert Ryan.